Professional and dedicated Realtor in the Worcester County area. 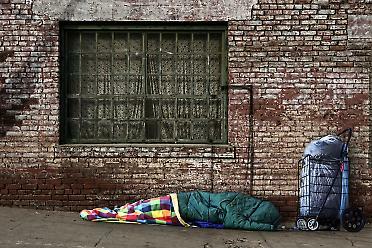 Bank of America Merrill Lynch is working to get more Americans off Skid Row. The investment bank provided more than $1.6 billion in loans, tax credit equity investments and other real estate development solutions in the first half of 2013 via its Community Development Banking business. Commercial and multifamily mortgage origination volumes during the second quarter of 2013 rose 36% from the first quarter of 2013 and jumped 7% year-over-year, the Mortgage Bankers Association said. “Commercial and multifamily mortgage lending and borrowing continued to grow during the second quarter,” said MBA Vice President of Commercial Real Estate Research Jamie Woodwell. “The apartment market continues to be the belle of the ball, with multifamily mortgage originations running 31% ahead of last year’s first half total. And after a slow start to the year, lending by life insurance companies surged in the second quarter to record the highest quarterly volume on record for that sector,” added Woodwell. When compared to the second quarter of 2013, the 7% overall increase in commercial lending volume was driven by an increase in originations for multifamily properties. The dollar volume of loans for multifamily properties rose 31%, while hotel properties were up only 3%. The dollar volume of loans for retail properties dropped 14%, while health care properties fell 36%. Office and industrial properties remained unchanged year-over-year. From last year’s second quarter, the dollar volume of loans originated for life insurance companies rose 16% among investor types. Bank portfolio loans also increased 13%, while government sponsored enterprise loans “Fannie Mae and Freddie Mac loans” grew 8%. There was a 14% drop in dollar volume of loans originated for conduits tied to CMBS. While commercial and multifamily mortgage originations overall rose 36% from the first quarter, originations for just hotel properties shot up 89%. Office property originations reported a 75% increase, retail properties grew by 48%. In addition, industrial properties and multifamily properties rose 44% and 22%, respectively, from the first to second quarter. Health care originations remained unchanged. Between the first and second quarter of 2013, loans for life insurance companies reported an increase in dollar volume of 100% among investor types. Loans for conduits for CMBS saw an increase in loan volume of 27%, originations for commercial bank portfolios rose 14% and loans for GSEs grew 2%. Purchasing or selling a home is often the largest financial transaction you will make. Whether you are a buyer or a seller, you need the very best in professional representation. Listening to your needs and desires, providing you with regular updates and being available when you need assistance are just a few of the benefits of working with a professional full-time Realtor. Repeat clients and regular referrals are testament to the high level of service I provide. I look forward to working with you. Mortgage applications dropped 3.6 percent last week compared to the prior week, as mortgage rates mostly held steady, the Mortgage Bankers Association reports. ‘A recent run-up in interest rates has curbed some individuals’ appetite to buy a new home and reduced the appeal of mortgage refinancing, while mortgage rates have steadied somewhat after a torrid increase this summer, The Wall Street Journal reports. The refinance index dropped 3.8 percent last week, mostly attributed to a big drop in the government refinance index. Loan applications for home purchases, viewed as an indicator for future home sales, dropped 3.4 percent for the week. The MBA reported 30-year fixed-rate mortgages averaged 4.58 percent last week, unchanged from the prior week. Average rates on the 15-year fixed-rate mortgage ticked up slightly to 3.67 percent, compared with 3.63 percent the prior week. The MBA’s mortgage application index reflects more than 75 percent of the U.S. residential market for mortgage applications. Right Move Real Estate specializes in REO and Short Sale transactions, as well as buyer representation. RealtyTrac signed a strategic alliance agreement with REAL Trends to leverage both firms’ extensive housing data resources and provide the latest market trends to the industry. Real estate-related initial public offerings have been popular the last year. The latest to hit the stage: American Homes 4 Rent, a real estate investment trust based in Malibu, Calif., plans to raise up to $794.1 million for an IPO. That would be the largest for a company specializing in single-family rentals. My partner of 32 years, Leon, and I moved to Maui 22 years ago. Prior to that, I had lived in Europe where I worked for a large international ad agency. Maui was home from the minute I arrived and I’ve love every minute. I’m a form President of the Board and Realtor of the Year. currently, in addition to being a top producing agent, I am the Broker in Charge at Coldwell Banker’s Award* winning Shops at Wailea Office. I’m looking forward to working with you. Vacation Homes, Resort properties, Residential, Condominiums and vacant land. Oceantfront to Mountaintop.